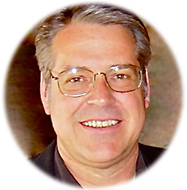 Ed Arvidson is the creator and instructor of the Coffee Business School of the Cascades, and President, of E&C Consulting. E&C's primary focus is on business consulting for the "Specialty Coffee Industry". Ed has been providing consulting services to major corporations, as well as "Specialty Coffee" business owners, for 26 years. He has worked with literally hundreds of clients assisting in the planning and opening of their coffee businesses. He's also been a troubleshooter for existing, struggling retailers. Ed has personally been involved in the employee training and store openings for nearly 100 coffee businesses. Previous to starting his own company, Ed was co founder and senior consultant for the Bellissimo Coffee Info Group. His extensive foodservice experience contributed to the development and performance of many of Bellissimo's consulting services. He was also co creator of many Bellissimo core educational products, including: Espresso 101 DVD, Everything But Coffee DVD, Espresso 501 DVD, Customer Service DVD, and Bean Business Basics (a 700 page business start up manual). To date, Ed has created several products independently, which include, "Coffee Drive Thru Plans", a ready to use set of construction plans for 3 different drive thru buildings. Ed has also written several books, including "Starting a Coffee Drive-Thru Business", a 319 page E-book, and "How to Get Profitable in the Coffee Business", a 310 page manual designed to help coffee business owners achieve or maximize profitability. As an educator, Ed developed and taught the business curriculum at the American Barista & Coffee School (ABCs) from its inception, until July of 2009. He then developed and taught the Los Angeles Coffee Business School from 2010 through 2012. Ed frequently writes for coffee periodicals, and held the distinction of having presented more educational seminars at the Coffee Fest trade shows than any other industry speaker. He frequently writes and lectures on core operational and profitability issues. Prior to his consulting career, Ed was an owner/manager of 3 retail coffee operations. He also previously owned an award-winning restaurant, after working for 15 years in the corporate restaurant industry. During the course of his career, he has held positions as: General Manager, Corporate Management Trainer, Corporate Food and Beverage Manager, and Corporate Store Troubleshooter. In his teens, and early 20s, Ed gained experience at all food service positions, including dishwasher, bus boy, cook, waiter, and finally bar tender. It is from this wealth of experience, having started as a dishwasher, and working his way to CEO, that Ed understands every aspect of the business, can identify problems, and execute solutions! In an industry filled with many educators and consultants, Ed stands out as a true professional resource and can help you achieve success in your Specialty Coffee Business.